love the size, I ordered the youth since I have small wrists and it fits perfect! very quick delivery as well! Will purchase from them again! Efficient shipping. Placed the order on a Sunday night, shipped out on a Monday, received items on Friday. Items is as shown except there is a white smear on the blue part from some of the letters and has 2 small tear/peely like things like it's been worn out (not really sure how to describe it). I'm sure it's just the type of rubber material. 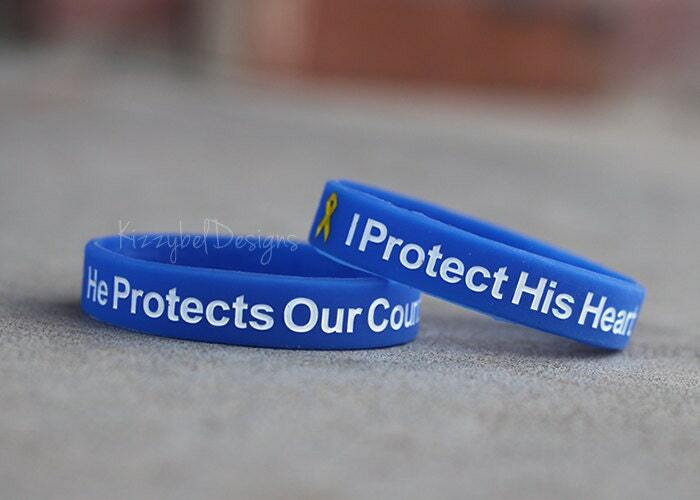 The order also came with a free "support our troops" bracelet! A nice very surprise. I would order again!